It was only a 1-0 defeat, but the scoreline flattered the beaten Bantams. Ipswich Town had played us off the park and should have won by three or four goals, with only a 10-minute rally at the end offering any encouragement that the relegation battle which Bradford City had become embroiled in could be won. I was angry, I was disillusioned, I was fed up. And so after that Division One (Championship) game, 10 years ago this week, I wrote my first ever article about Bradford City. The piece was published on the hugely popular City website boyfrombrazil.co.uk. Three months earlier, I had graduated from Sunderland University with a middle-of-the-road Journalism degree and a desperate need to gain some writing experience. I had, in truth, not made the most of the three-year course and was not exactly the most employable graduate of the thousands entering the job market that summer. I had failed to build up much writing experience beyond the University magazine, and so a need to rectify that – and the fact I was returning to watching City on a regular basis – prompted me to get in touch with BfB’s editor, Michael Wood, to see if he would let me write for his site. That first article was very much out of keeping the hundreds I have produced since: I was slating the manager. Nicky Law’s excuses for City’s dreadful performances had failed to impress me, and the piece stated that it was time that he proved himself. Cringeworthy looking back – Law had more than proved himself up to that point, guiding the club through Administration One, and did a decent job overall – but at the time it was a proud moment to see my byline appear on a site that I loved so much. One article soon became a few and before long I was contributing pieces on a regular basis. As I struggled to hold down a temporary job and spent most evenings scouring various websites for journalism-related vacancies, writing pieces for BfB was light relief and a godsend for sharpening my writing skills. These days – based on emails I receive from University students – Journalism undergraduates are encouraged to start their own blogs and practice, practice, practice. It’s excellent advice, and I was lucky that Michael allowed me to use BfB as a playground to get better and better as a writer. Article number three had been to reflect on the inevitable sacking of Law, and article four reviewed one of his first games in charge, another 1-0 home defeat (West Brom), but this time with City playing well. New manager Bryan Robson brought improved performances if not results, and I backed him strongly. Improbably retaining belief that relegation to the third tier could be avoided. By February I wrote my first ever match report, a 2-1 defeat to West Ham. I made the mistake of planning my intro before a ball had been kicked that afternoon, meaning a disjointed start to the report that didn’t really fit in with how events panned out. For the rest of that season I wrote about every game I attended. Michael wrote reports also, meaning BfB would often carry two per game. A bit strange looking back, but it helped me no end. I’ve always taken a review type approach to match reports for BfB and latterly Width of a Post. I am mindful that I am writing to a selective audience, but one that has a huge amount of knowledge on the subject matter. Most people reading my reports have attended the match also. They don’t need me to tell them what happened because they saw it for themselves. Even if they didn’t attend, they will already know the score and – these days – have probably seen the goals. So I don’t go into detail of what happened each minute, and instead focus on attempting to tell the story of how a game was won, drawn or lost. Back in 2003/04, the web was a different beast, with the phrase ‘social media’ not yet invented. That meant no interaction or feedback from readers. No one telling you if they agreed or disagreed with what you wrote. The first time I received any kind of response to an article came in August 2004 when, after our first home game following Administration Two, City drew 2-2 with Peterborough and Nicky Summerbee was booed by his own fans. I wrote my disgust at the reaction he had experienced, and when I checked my emails that evening I had four from City fans – two agreeing, and two very angrily disagreeing with my stance. It felt a bit disconcerting, but also nice to know that people were reading my stuff. That match came at the start of Colin Todd’s reign as manager. I was, until the bitter end, an advocate of what Todd was trying to achieve at Valley Parade. 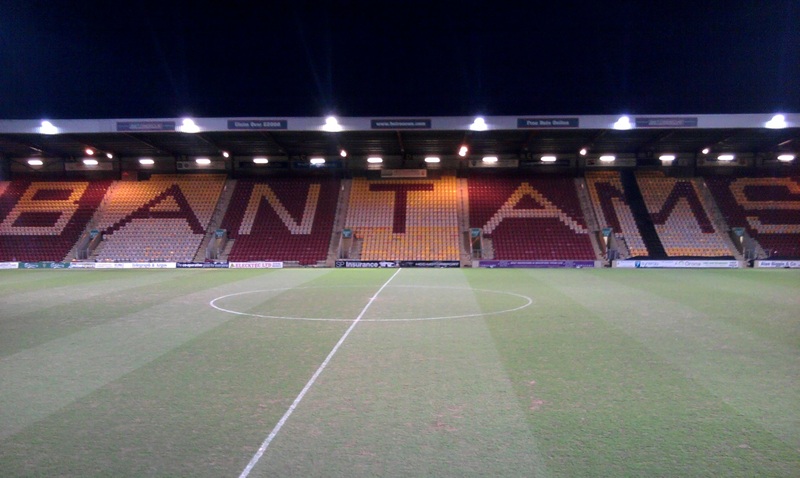 For a while so were most people and the 2004/05 campaign was a fun one to write about, especially those five straight wins in October that put the Bantams second. One year on, Todd was being heavily criticised by a growing section of support and BfB came under fire. I and most of the other regular writers supported the City boss, leading to accusations of the site failing to offer balance and cover the anti-Todd view. This was despite Michael always welcoming articles from anyone. By this stage I had the boost of securing a writing job. My first day in the role was the week before the 2004/05 season ended at Oldham. In many ways BfB had served its purpose in that my original reasons for writing for it – to get a full time job as a writer – had been achieved. But I was having so much fun and still gaining a great deal from writing up my views on City’s endeavours in League One that there was no doubt about continuing. Writing about Bradford City had become a hugely enjoyable hobby. I’d like to think that I was developing a reputation amongst City supporters as a decent writer with fair and considered views, but the polarised opinions that Todd’s reign triggered across the fanbase meant those angry emails appeared a little more frequently in my inbox. I rarely read message boards, but one day I stumbled upon the City Gent website’s board (run by the now defunct company, Rivals) and was left shocked by numerous postings about me. Some praising me, others absolutely slating me and my views. I vividly remember one: “I’m sick of the utter s**t that Jason McKeown writes” (asterisks my edit). Ouch. At least they weren’t trying to shut us down, however. That was what a Southend United supporter threatened both myself and Michael with in December 2005, after we wrote articles defending goalkeeper Donovan Ricketts when he was sent off at Roots Hall for gesturing to the crowd – the Jamaican claiming he was being racially abused. This supporter obviously didn’t believe the Don’s accusation and was upset that his fellow supporters had been questioned by me and Michael. So he sent us both long and angry emails informing us that he was taking steps to get BfB shut down. Eventually he calmed, but somehow Michael’s contact details made it to a Southend message board, with nasty results. It wasn’t an easy time for Michael, and by October 2006 he made the decision to take a break and stop BfB. I found out just like every other reader – by logging onto the site one morning to read a statement. I was gutted. This was still the days before blogs were as easy as they are now to create, and I had no skills or knowledge to start my own. I didn’t want to stop writing about my beloved Bantams, so approached Mike Harrison of the City Gent and began a column – Midland Road Mutterings – which I continued for five years. 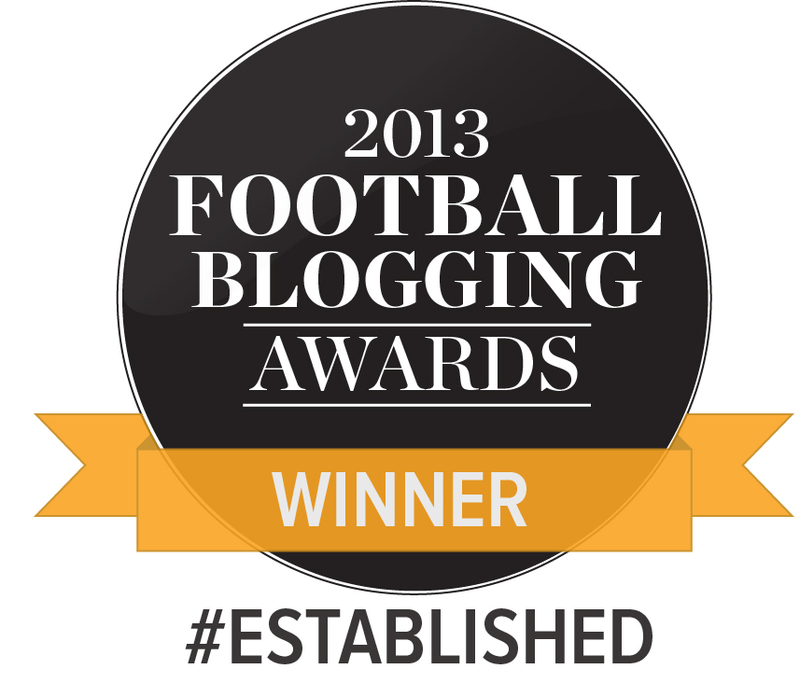 As a long-time reader of the fanzine, this was a great privilege. BfB returned at the end of that season, but the landscape had changed considerably. Todd had been sacked, Dean Windass departed and City were in free-fall. My first article back writing for BfB was a match report of relegation being confirmed at Chesterfield. The site was very different on re-launch, and behind the scenes Michael set it up so I could upload and publish articles directly myself, easing his own workload. BfB became a blog format, rather than news site. A lot of people didn’t like it at first, but with City in the basement league the simple fact was there wasn’t as much going on around the club to make daily news reports fulfilling. What was Michael to do, simply repeat Simon Parker’s interviews with players for the T&A? Even in the present, nothing really happens at Valley Parade in-between matches. So BfB became all about opinions. Which suited us fine, as both Michael and I were rarely short of them. The Stuart McCall era certainly provided plenty of material as City adapted to League Two. If Todd had my measured support, McCall was a different level altogether. I’ve long held the view the managers need to be given years not months to build something, and so the presence of my greatest City hero in the dugout was a continuity I wanted to see maintained despite the difficult moments of his tenure. It was a mixed time, response wise. Many people shared our views and BfB’s readership grew substantially; but when form suffered and other elements of support turned on McCall, we too found ourselves in the firing line of the anger. I had many a heated exchange with other supporters as I argued passionately for the manager I believed in. It was not nice to watch McCall eventually be driven away by supporters and members of City’s board. In truth, I found myself disenfranchised with all things City for almost a year after his departure. By now Peter Taylor was in charge. A good appointment on paper that did appease me, but my enthusiasm was not what it was. It was a strange period, as I went from being slated for backing one manager too much, to being criticised by the same people for not supporting the next one strongly enough. By January 2010 I’d had enough of Taylor and wrote a heartfelt piece about my loss of support for him as manager. I was far from the only one, and a month later he was gone. That year – 2011 – must rank as BfB’s best, at least until its abrupt ending in November. In that January (and before Taylor went), I had nervously sent an email to David Baldwin asking if Julian Rhodes and Mark Lawn would be willing to be interviewed by myself and Michael. To our surprise, they said yes. In the end Rhodes couldn’t make it, but the two hours we spent speaking to Mark Lawn inside a box at Valley Parade was a wonderful experience. We received a great reaction for the two-part interview we published and I think that it helped Lawn’s reputation too. A month or so later, we were to get wind that City were looking to talk to Valley Parade landlord Gordon Gibb about reducing the rent, and got to break the news exclusively. A testing period for the board and supporters – where the prospect of moving to Odsal was raised – saw me write some in-depth pieces about club finances and the like. I felt like the David Conn of Bradford City. It was good fun, and it even culminated in a couple of appearances on BBC Radio Leeds. My writing had widened to producing occasional articles for When Saturday Comes magazine (for which I get paid) and the excellent TwoHundredPercent website. A year earlier I had moved jobs to become a copywriter. On top of all this, I was writing a book about Bradford City which was published in December 2011. Then came Archie Christie. A quiet September evening at home was interrupted by a phone call from Michael saying he’d had an email from the club’s new Head of Football Development. We were invited to spend the day shadowing him, during which we met and spoke to players, management and chairmen. As we chatted to Phil Parkinson at the training ground, I felt like we’d won some once-in-a-lifetime competition. It was an incredibly insightful day. We later heard that several national newspaper journalists had read our three-part story and expressed jealousy at the level of access we had been granted. That series of articles was well received in the main, even though some of the stick Christie had been receiving from a minority of City fans had now trickled over to us. Lots of long and unresolvable arguments by email with people ended with a line being drawn under. It was undoubtedly an exciting period as Christie – delighted by what we had produced – regularly confided with us on City matters. It was a nice feeling to be aware of new signings a day or so before they were announced, and we always kept what we were told to ourselves. Talks were underway to interview players and Phil Parkinson, before it all suddenly stopped and BfB closed. Let’s leave that horrible period to one side. There was a big change, going from co-writer, only concerned with my own articles, to website editor. Thanks to a network of talented writers that Width of a Post has built up over the past two years, a lot of my time is now spent editing and publishing other people’s articles, in addition to focusing on my own. It is an amazingly humble feeling when anyone takes the time – unpaid – to write and send something for you to use on your own site. My thank you replies to the writers must come across as pathetic in how grateful I sound, but I am genuinely appreciative each and every time. Width of a Post is strong because a number of people care about making it strong. I am grateful, because I appreciate how much effort goes into writing a piece. On a good day, when something is very topical and I know what I want to say, it can take me two hours to write and edit an article. On other occasions it can take considerably more time. My recent match report of the Colchester United draw took over six hours. That was my Saturday night after that game: getting increasingly frustrated and stressed that it wasn’t flowing. I can’t begin to imagine how many evenings and mornings I have sacrificed to write match reports and the like. City’s slump to League Two in 2007 coincided with suddenly being able to afford to go to more away matches and, for the last six years, I have probably seen 80% of all City games. Travelling to far-flung places like Plymouth, Dagenham, Barnet and Wycombe, sitting in traffic, and then getting home and spending hours sat in front of a computer writing about it – I am extremely lucky to have such an understanding wife! The 2012/13 season was a dream to cover, right from the first of the 64 matches, at Notts County. It was campaigns like this that made up for years of writing about dismal away defeats and attempting to defend under-pressure managers. Being editor of the site meant I could award myself the job of covering those amazing nights against Wigan, Arsenal and Aston Villa. There was a sense of responsibility to do a good job recording the emotions of those occasions, knowing these matches would be talked about for years and years to come. As the club shone brightly under the national media spotlight during the 2012/13 cup run, the likes of City Gent, Bantams Banter and Width of a Post benefited too, and I received numerous media requests. I’m proud of the coverage our team produced last season, which included a report of every single match. Talks had been held with a publisher to produce a best of WOAP 2012/13 book to raise money for the Burns Unit, but this has now stalled. Phil Parkinson has been fantastic to write about. That day following Archie gave me opportunity to speak to Phil for 15 minutes, and he imprinted on me his values and the importance he placed on bringing in footballers with character. The promotion-winning side clearly had his stamp all over it and it so wonderfully mirrored what we supporters had been crying out for in our players for many years. Like others, I had my doubts about Parkinson during 2011/12 – but he has done, and continues to do, a magnificent job. I’ve always held Paul Jewell to be my favourite City manager, but now I’m not so sure. Also in 2012/13, the relationship I had with the club was restored. Unlike when Archie was there I don’t have that day-to-day closeness, but a healthy professional distance is good and gives me the scope to be critical as and when I feel the need arises. David Baldwin has been wonderfully supportive of the site and we plan to meet up to do another interview soon. In August, Julian Rhodes sat down with me for a very revealing chat. I do enjoy interviewing people, and I hope to continue working with the club in order undertake many more over the coming months and years. Things changed this summer on a personal level with the birth of my first child. That makes it harder to balance working, watching City and writing about the Bantams with family life, but so far so good in maintaining Width of a Post. I’m proud of what the site has achieved in a short space of time (being interviewed by BBC Two’s Newsnight, two days before the League Cup final, with the caption ‘Jason McKeown: Widthofapost.com’ was arguably the peak moment). Writing is everything to me. I’m very lucky that I get to do it professionally, with my day job including writing for national newspapers most weekends. And through Width of a Post, I also get to write for fun. One decade completed, and I can’t imagine giving up covering the fortunes of my beloved football club for a long, long time. Thankyou and thank goodness you intend to continue. I never cease to be amazed at the quality of report, debate and comment that “width” offers.As a very occasional contributor I have been pleased to be a part of this site and its predecessor but it is the almost daily articles that require so much work and for this I for one am very grateful. Congratulations Jason. Here’s to the next ten years! Congratulations Jason, here’s to the next ten! I so miss the BFB website and refuse to delete it from my favourites in a sad but nostalgic way. 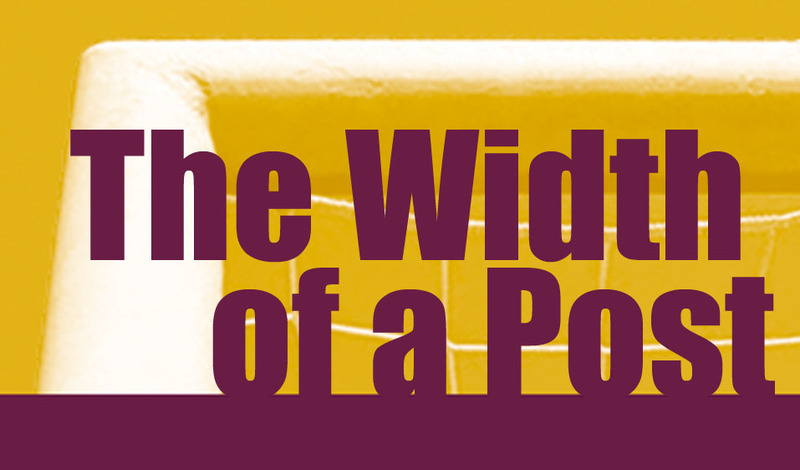 Width of a post goes some way to filling the void with many great articles fantastically written. Congratulations on the decade of excellence and also the exciting start of your family. I wish you well and thank you very much and keep it up! similar sentiments really. It showed during the cup run that the site is well respected with the national attention received then. Been an avid reader of both sites and can’t say that there has been much to disagree with. A wide variety of different types of article, well thought through and presented. Such a high quality club needs high quality articles written about it, long may it continue. Jason, I have been a City supporter since my Dad took me to my first game at the age of 6 in the 1950s and my 2 sons are carrying on the passion we have for our beloved Club. Can I just say how good it is to have someone, who clearly has the same love for the Club, regularly write such good, considered articles which are always worth reading. Thank you and please keep up the good work! I am pleased to note that you still enjoy writing about our favourite football team. Very well done Jason, you should be proud of the site and the pool of writers who contribute to making it such a success. Thank you all for your lovely comments which mean a lot. Another superb article and one which summarises a decade of writing so well. I’m sure that you appreciate that the Width of a Post website provides a lifeline to many exiled Bradford City supporters across the United Kingdom and beyond. When I started to support Bradford City in the late 1980s, there was no internet and very few people had mobile telephones so to get a scores and match reports, you had to rely on the local newspapers, Teletext and the excellent City Gent fanzine. At this point, I must credit Mike Harrison, his current support team along with the previous City Gent editors for maintaining such high standards and it’s testament to them all that the fanzine is still going strong in this age of the internet and social media. Back to Width of a Post. I understand what time pressures you are faced with, Jason, holding down a full time job whilst juggling it with family matters. I take my hat off to you for creating the time to write such well crafted articles. Finally, Jason, please keep Width of a Post alive. It is informative, well constructed and thought provoking. I’ve tried to get some key points across in my reply, but having read it back to myself, I’ve probably not completed it as well as you would have. In Parkinson, we trust. Keep believing! Interesting article, superb website. My first port of call for all things City – WOAP expands, provokes, confirms, enlightens, and supports sensible debate. I am delighted to hear that you intend to continue. Huge, huge thanks.